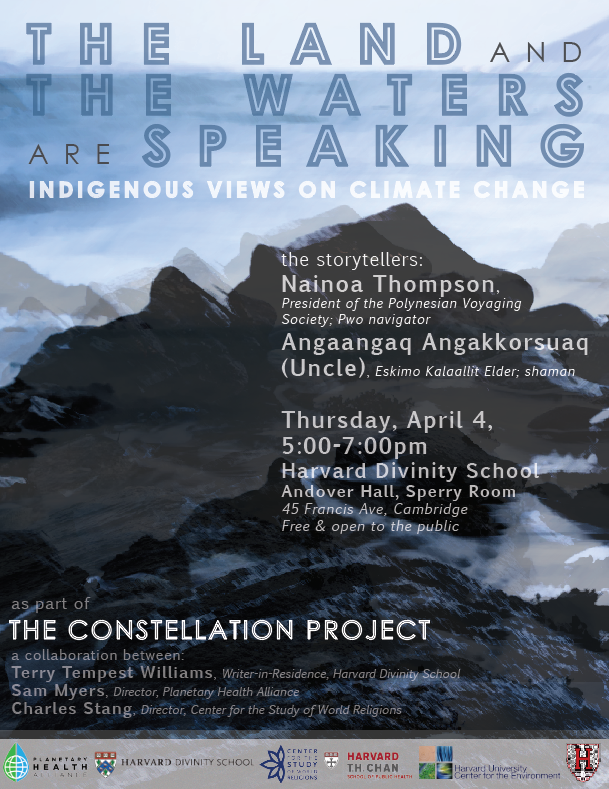 On April 4, 2019, the Planetary Health Alliance, as part of the Constellation Project, had the honor of welcoming Eskimo Kalaallit elder, Angaangaq Angakkorsuaq, and Pwo navigator and President of the Polynesian Voyaging Society, Nainoa Thompson, at Harvard to share their wisdom, traditions, and perspective on a world plagued by human-induced environmental destruction. Watch the recording of the event. 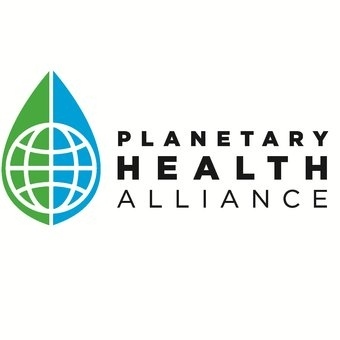 Planetary Health Alliance News Watch the recording of "The Land and the Waters are Speaking"